Thank you to those who attended the 2017 Math for Service Open House. To view OC Scholar's Year-in-Review, please click here. 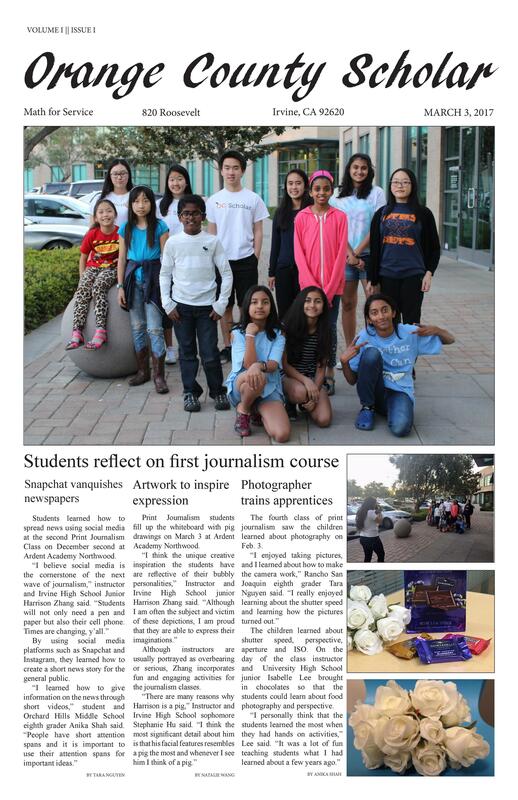 Thank you to everyone who participated in OC Scholar's inaugural journalism courses! 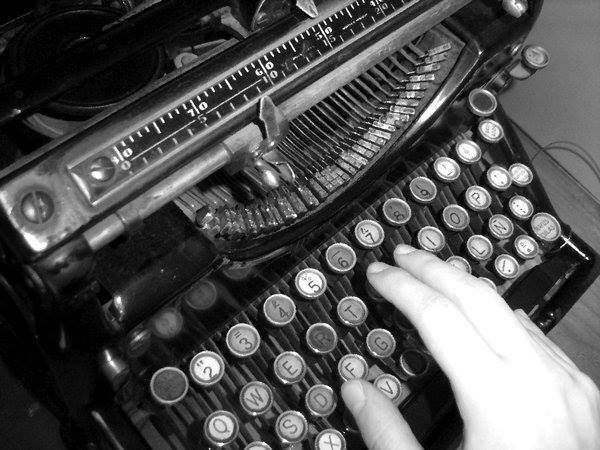 For more information about our inaugural journalism classes, click here. The State of OC Scholar is the Editorial board’s annual address to the general public on hot topics regarding OC Scholar and the field of journalism. This year marked great expansion and improvement on previous foundations. We completely updated our website to match OC Scholar’s vision on maintaining a high sense of quality, with an improved layout and fresh color scheme and logo. 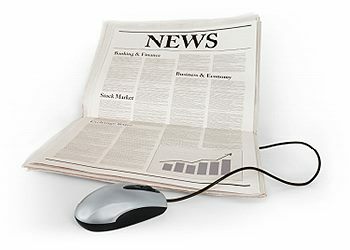 With the help of our new staff, we uploaded lots of new articles each month about the mathematics, arts, humanities, sports, sciences and current events. Additionally, we held a successful writing workshop on general guidelines for article writing, as well as differences between different types of journalism articles and the basics of photography and graphic design. The OC Scholar Executive Board also created a set of writing guidelines for different types of journalistic articles, which was shared with and made available to all of the OC Scholar staff. This helped maintain a high standard for journalistic writing and reporting throughout the 2015-2016 year. We ended the year by looking on to the next. At the Math for Service Open House, held at Sage Hill High School, we recruited around 30 new volunteers. In further expanding the OC Scholar staff and other activities, we hope to reach an even wider audience next year. Freedom of the Press. Freedom of speech. 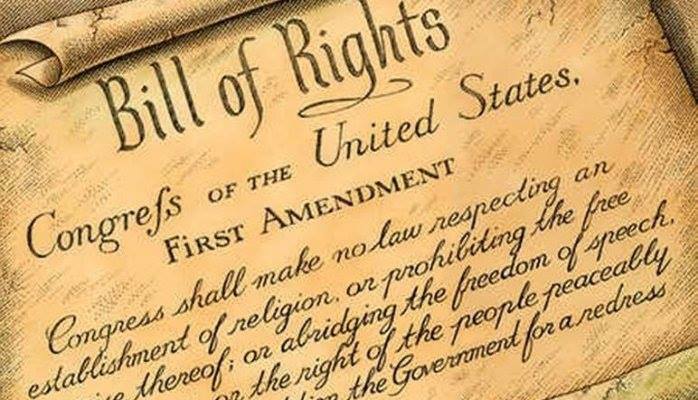 We hear those phrases so often, but as centuries pass since our founding fathers passed the Bill of Rights, we being to more often neglect and take for granted the basic principles of our democracy. As young students in the 21st century, we often doubt that the freedom of press and speech really impact our lives. However, looking at other countries around the globe, especially in today’s society, it becomes increasingly evident how blessed we are to still exercise our rights even as students. Moving forward, as student journalists, we have the ability to spark change and promote the power of the written word. Shooting stars pass, scientific experiments dissolve, names that revolutionized the math field fade, but the power of the written word is eternal. As we bid the 2015-2016 school year farewell, we welcome the new school year with open arms with bright goals and visions lying ahead. Starting in the fall of 2016, OC Scholar is proud to announce the newest addition of the program: a book club. The book club will run twice a month for students in elementary and middle school for the surrounding areas of Irvine, Calif. Additionally, a possibility to expand to high school students and possibly reaching other cities in northern Orange County is being discussed. In regards to writing, OC Scholar strives to maintain a high level of quality while incorporating students with varying level of experience. By the fall of 2016, students will be able to take photos, interview adults and local students, write articles in AP style and attend a range of events in Orange County. Looking into the future, we are excited to implement all our new activities and ideas while still maintaining the rich tradition of OC Scholar and the field of journalism. We thank you for your continuous support of OC Scholar as we being to embark on the next chapter of the program. Getting a provisional driver’s license can be confusing, but here is some advice and useful information about the steps to obtaining a driver’s permit. 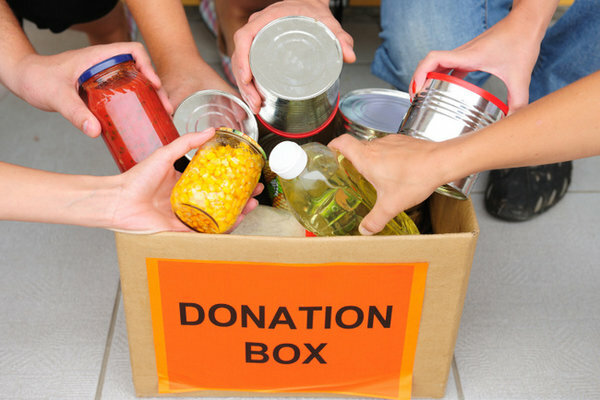 Most people remember donating cans of food to their school's food drive when they were young, but were often motivated by a school competition or materialistic reward. But what is giving truly about?